A huge number of people are waiting for this Group 2A Notification. TNPSC is going to contact the Combined Civil Service Examination-II (GROUP-IIA SERVICES – NON-INTERVIEW POST) 2019 for various posts of Assistant and Personal Clerks. According to the Annual Planner, the Group 2A exam will be conducted in July 2019. So candidates don’t wait for notification, start your preparation now. A candidate with sincere preparation can surely get a job in this Group 2A Exam itself. All the best! 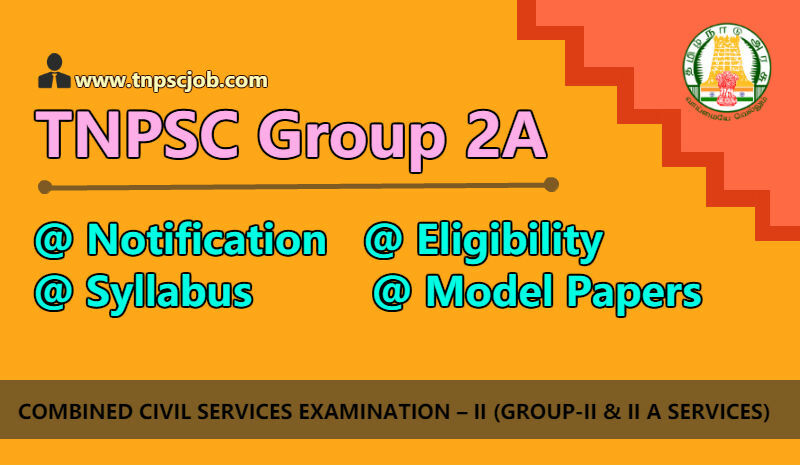 TNPSC Group 2A Eligibility Criteria. The minimum age for all Community to apply for the Group 2A exam is 18 Years. But the Maximum age limit for applying to group 2A exam varies for different categories. The selection will be made on the basis of the marks obtained by the applicants in the written Examination and The Personal Interview Marks. The minimum salary for TNPSC Group 2A post is Rs.5200- 20200 + Grade Pay Rs.2800. Approximately You get Rs. 22,000 per month. 27-08-2018: TNPSC Group 2A Vacancies are increased from 1953 to 2291. For the first time, a huge number of candidates called for Certificate verification ie, 6855 candidates. Individual intimation regarding the place, mode, date and time of Certificate Verification will be informed through the Commission’s website, SMS and e-mail only. TNPSC Group 2A Online Application has been completed on 26th May 2017. Now everyone searching for Group 2A Hall Ticket. The Group 2A Exam Admit Card published on the official web page. You can download the Hall ticket by click Here. Last minute Preparations with Previous year Paper and Model Question Papers for more marks. All the Best!!! how to study group 2a?